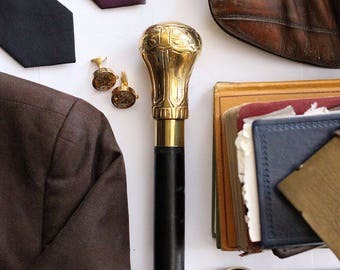 A steampunk cane is a handsome accessory for alternative men and women. 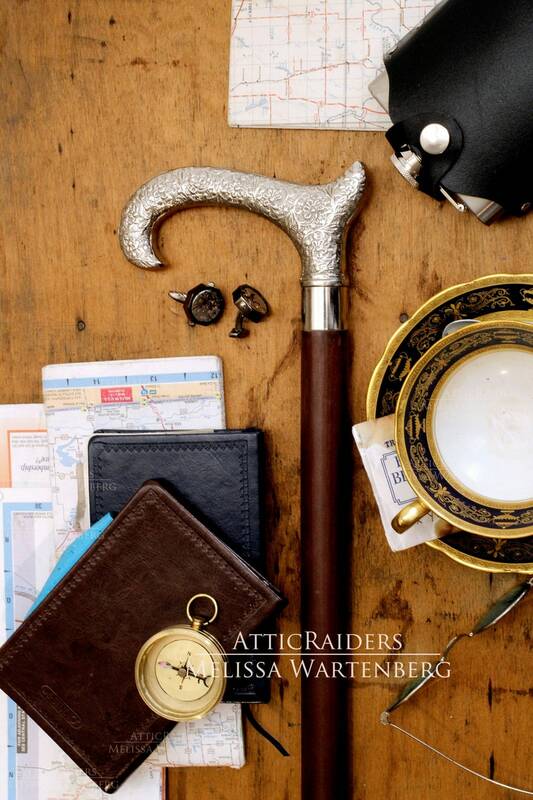 It's slim design makes it a great walking stick accessory to take traveling, to work or to a convention and the handy leather adjustable cane strap means its can also be a hands-free item too. Slim and polished looking, the walking stick is an accessory that is not only practical but stylish too. Made with a solid wood cane shaft, this accessory can be personalized with two unique strap systems to choose from and your choice of cane shaft color too. 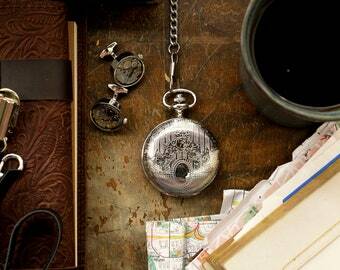 The first strap is a classic wristlet, adjustable and fits a wrist circumference of up to 10 inches. The second strap is the long strap which can be adjusted to loop onto the shoulder like a shoulder bag strap or can be opened to become a large chest strap that is looped over the head and then tightened down to fit snug to the torso. 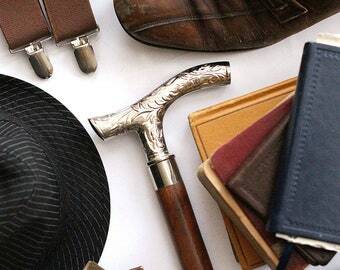 Choose the strap system that best fits your needs to keep the cane nearby and to prevent unnecessarily dropping your cane. 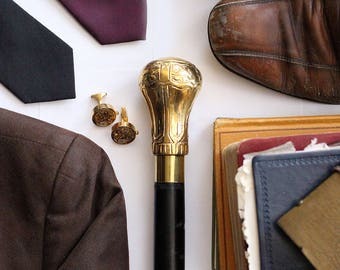 Not sure how to keep care of your cane? Keep reading and further down you can learn more about how to best maintain your walking stick. Inspired by the cane styles of the Victorian time period, this cane features a generous floral design all over the silver handle with vine, leaves and open blossoms covering almost every inch of the surface of the handle. The handle has a slightly hooked end which allows the user to quickly and easily hook the cane on the back of a chair or onto their forearm instead of using the wristlet or long strap.